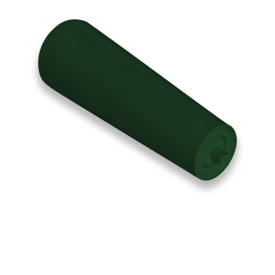 ConveyorPro Tapered (‘V’) Rollers Are available in steel, aluminium, HDPE and HT composite. Tapered rollers are used in gravity or powered conveyor turns. Tapered rollers are designed to match the inside radius of the curve. This allows the product to maintain orientation and conveyor position around a curve. Our standard rollers are designed for industry standard inside radius dimensions. Custom tapered rollers can be created to work with custom inside radius dimensions. For further information on technical specifications including relevant Australian Standards please contact us. ConveyorPro can provide a number of idler assemblies as part of the ConveyorPro Idler range (click here).